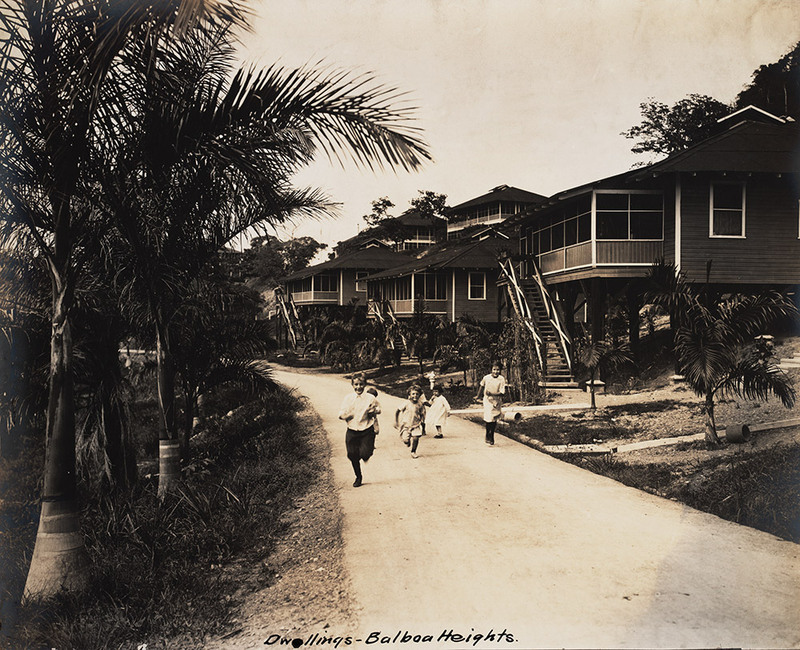 Modest housing at Balboa for gold roll workers. 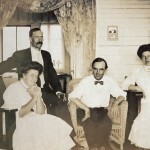 Frank W. Miracle and W.D. Waltman with their wives. 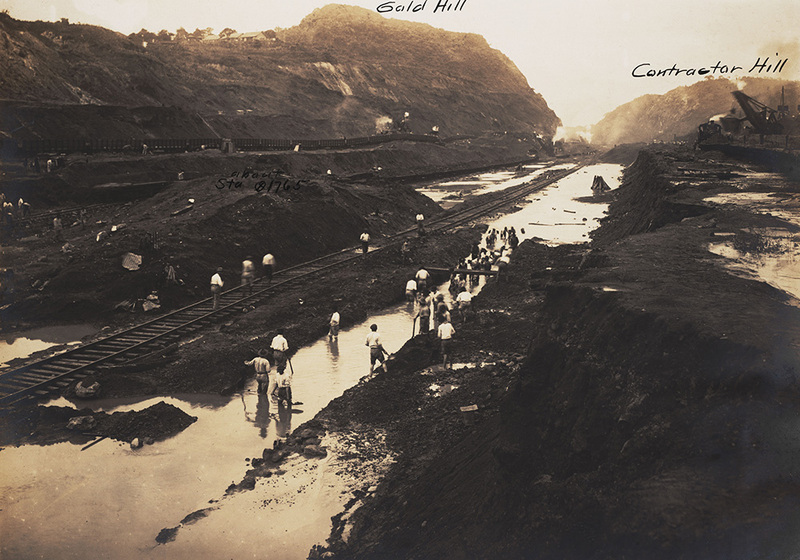 From 1904 to 1915, the Americans hired a workforce of 42,000 to build the Canal. 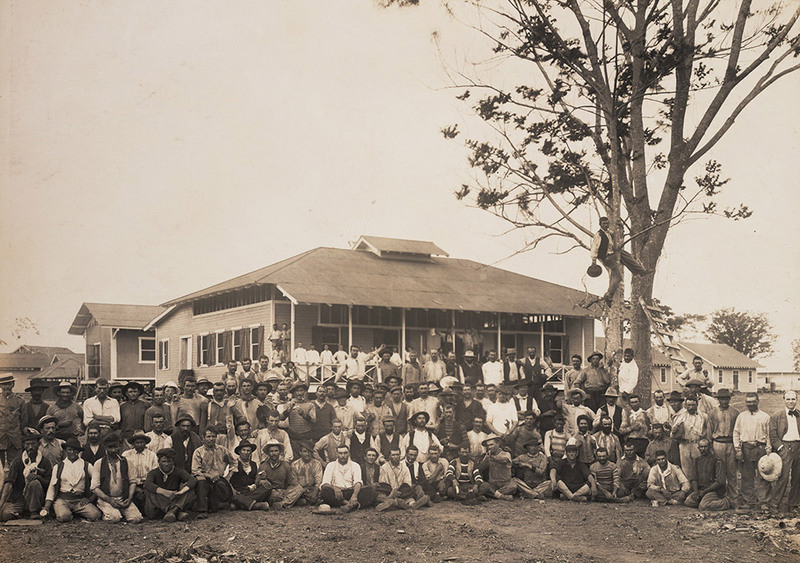 At the beginning of construction, hiring workers at all levels was a difficult task. The Isthmian Canal Commission recruiters sought to fill the skilled jobs in America, offering good monthly salaries and free transport to the Isthmus, but many of the original recruits were unable to do the jobs for which they had been hired. Also, frightened by yellow fever and unable to face the harsh environment, half of the Americans fled the Canal during the first year of construction. 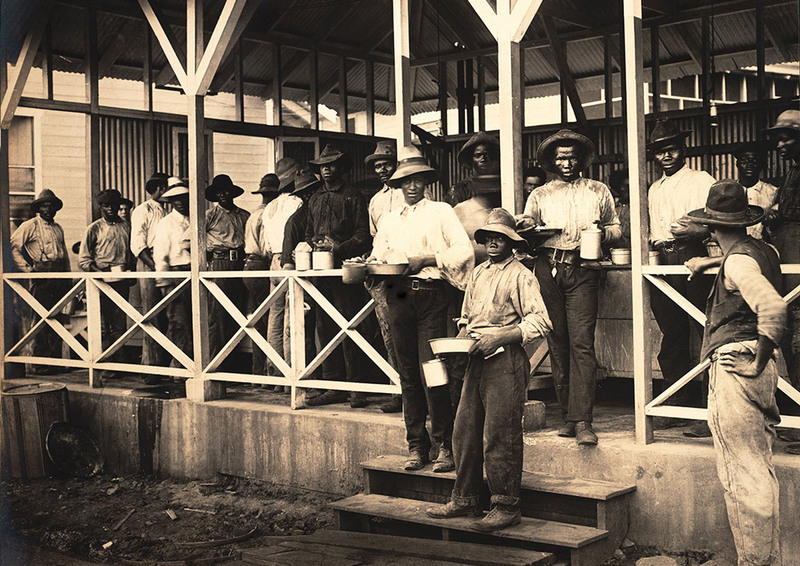 Although workers arrived from around the world, the Caribbean islands, primarily Barbados, supplied the bulk of the labor force. It was first believed that the islanders were unproductive by nature, but times were tough in their home countries and many were simply malnourished. Once fed a more varied and nutritious diet and given sufficient training, they performed well. However, the preparation of the food was, by most accounts, awful. Meal time at an I.C.C. kitchen. 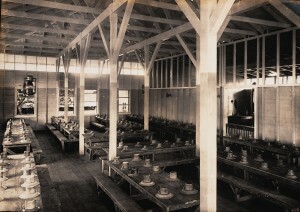 Mess hall for skilled employees. Group of workers from Spain. Unskilled workers faced segregation, unequal treatment, and performed the most dangerous work. 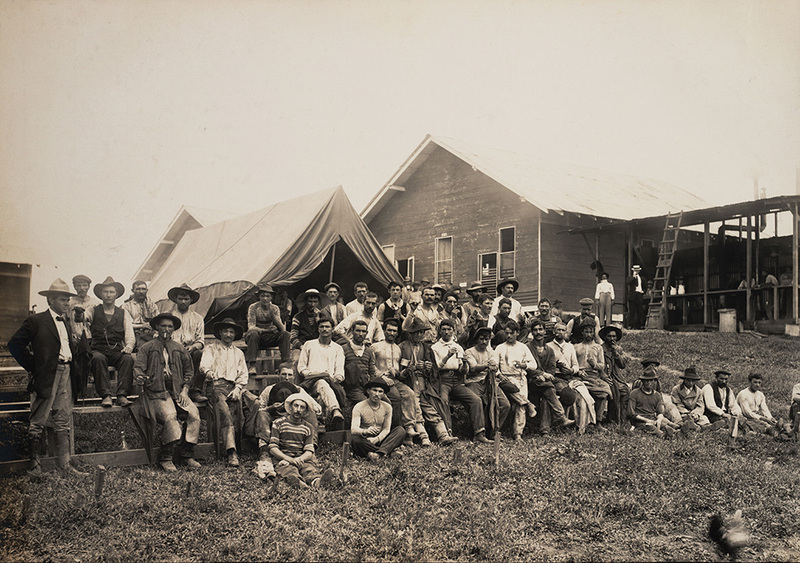 In contrast, white American workers were given good housing, decent food, commissary privileges, and were supplied with recreational facilities. 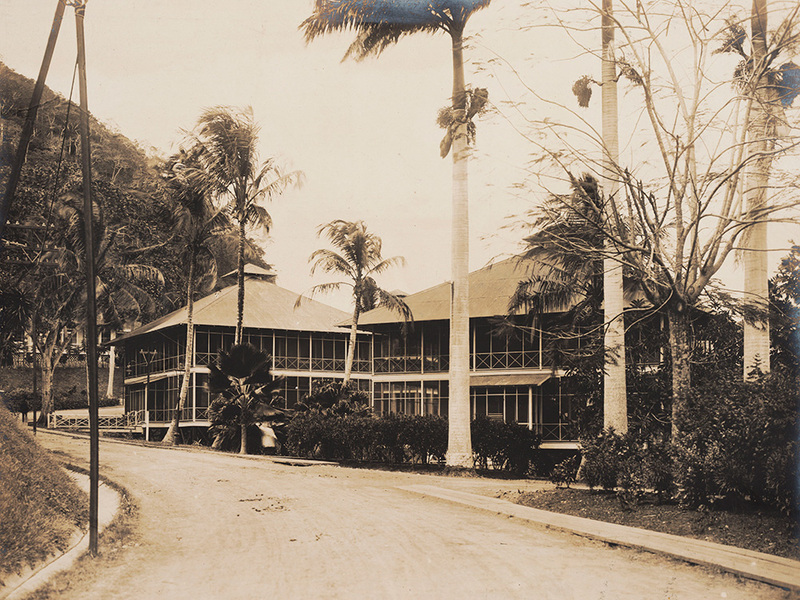 Workers were paid under the “gold” and “silver” payroll system. The system was originally intended to designate skilled and unskilled labor but quickly grew into a system of segregation. 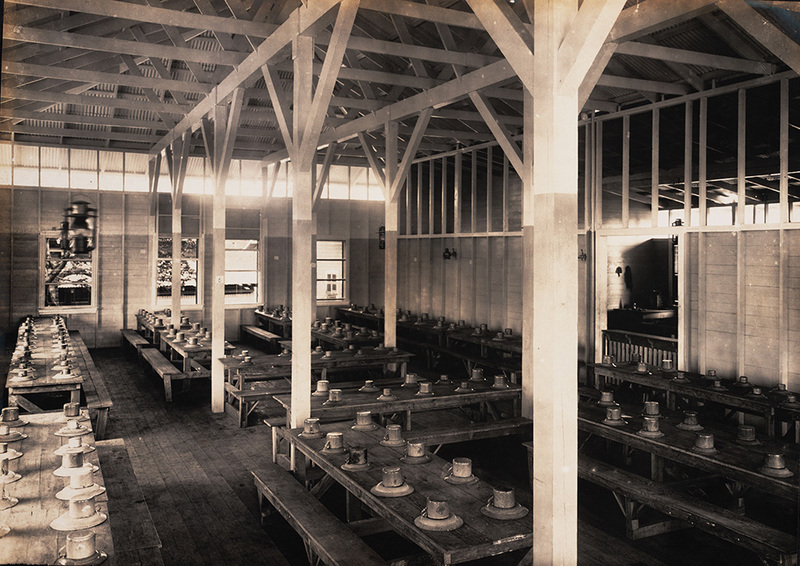 Gold roll workers were white, primarily American, more highly paid, and paid in U.S. gold coin. 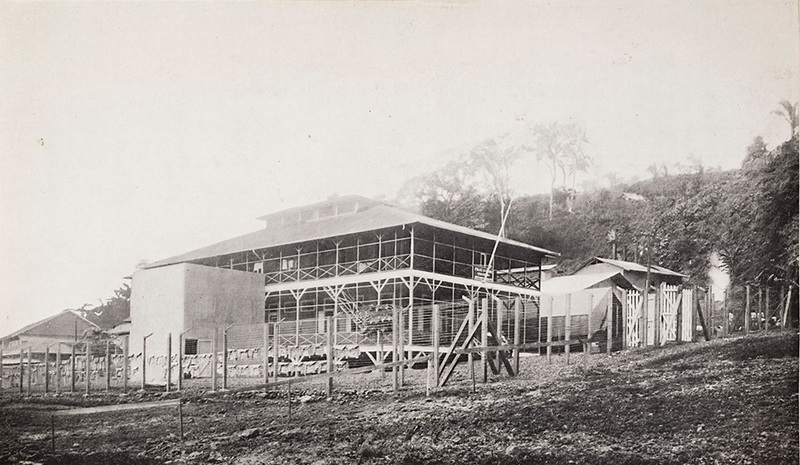 The silver roll workers, mainly from the Caribbean islands but also from Spain, Italy and other European countries, were paid much less and in Panamanian silver coin. The system was a color line, with separate privileges, eating facilities, and building entrances for gold and silver workers. 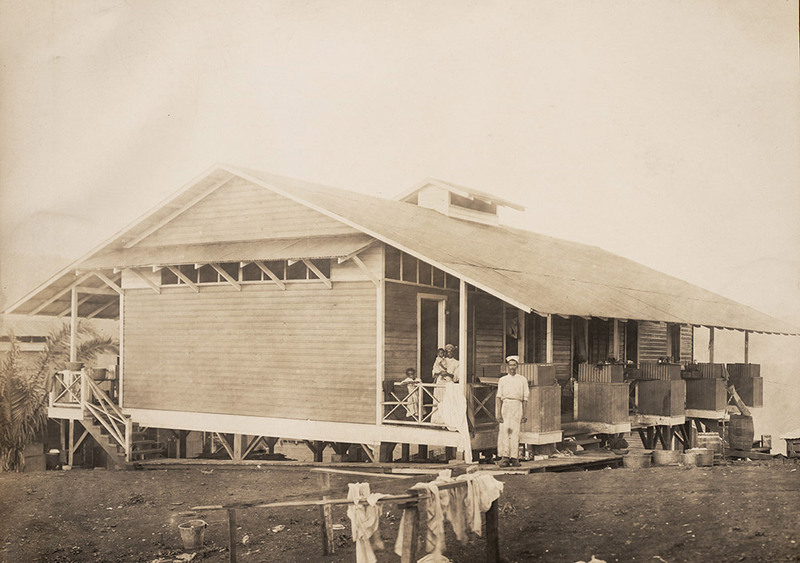 Workers queue up at the outdoor kitchen at Camp Bierd barracks, Cristóbal. Sleeping quarters for unskilled workers. Typical barracks room for a single white male worker. 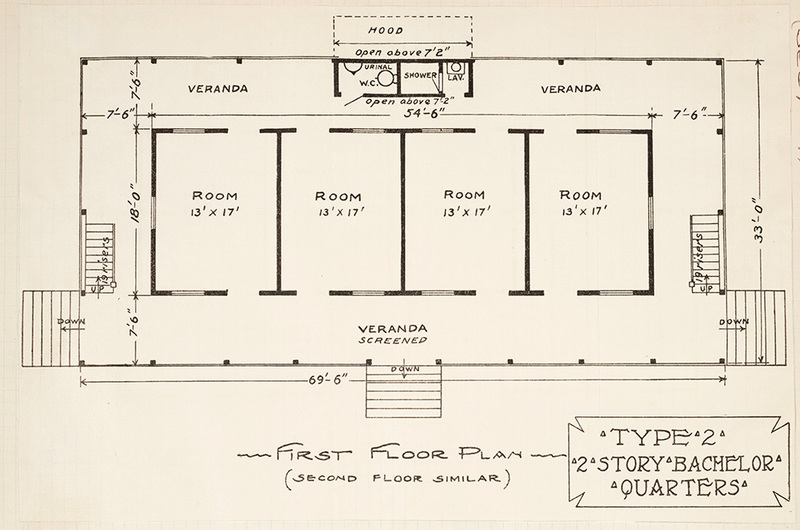 Floor plan for typical bachelor quarters. 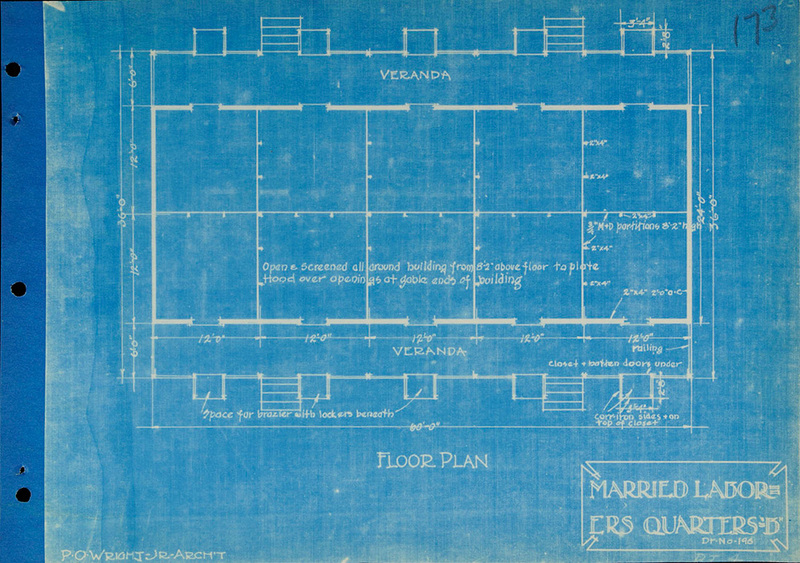 Floor plan for first floor of type 13 two-story house. 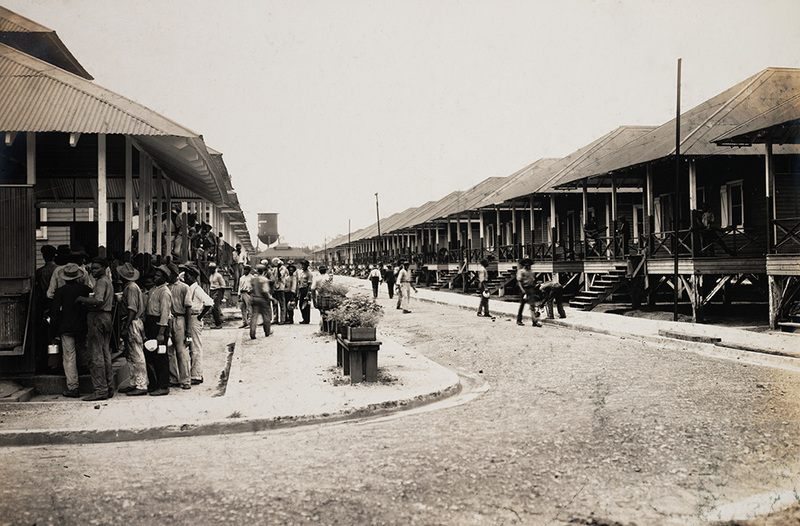 Housing was provided free to gold payroll workers. 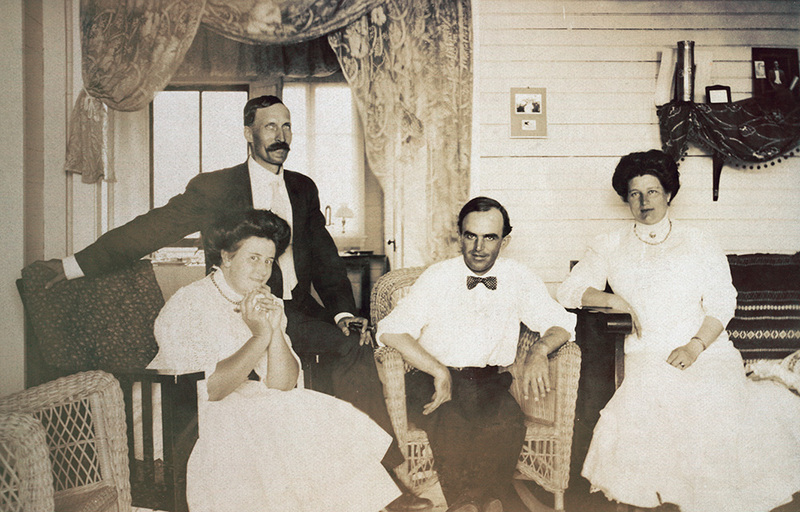 In 1905, Chief Engineer Stevens appointed Jackson Smith to oversee labor and housing allocation. Jackson’s system allotted one square foot of housing for each dollar earned per month by a gold roll employee. If a man was married, his housing allotment doubled. 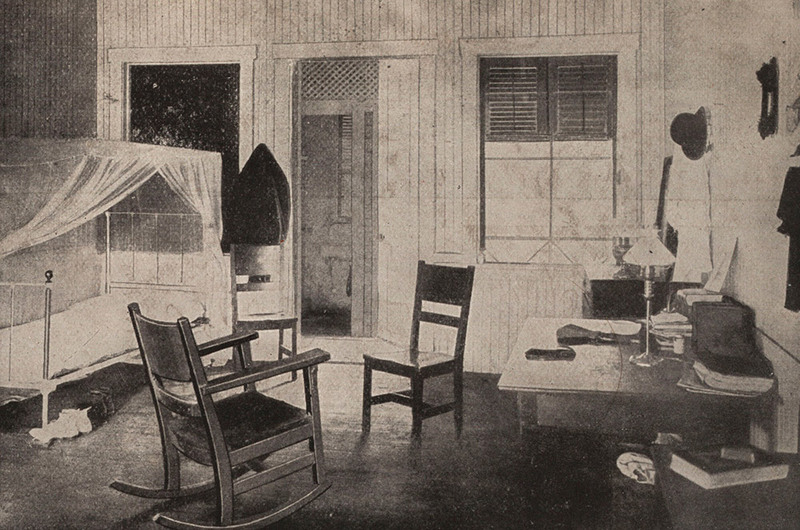 American bachelors without families were assigned to private rooms in two-story dormitories. 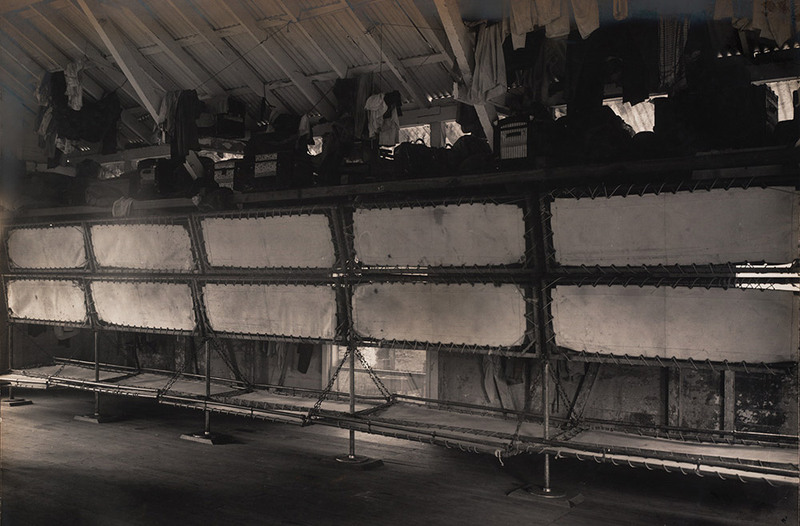 In contrast, bachelors on the silver roll were housed in shacks, barracks, or even rail cars. Typical quarters for ten silver roll families. 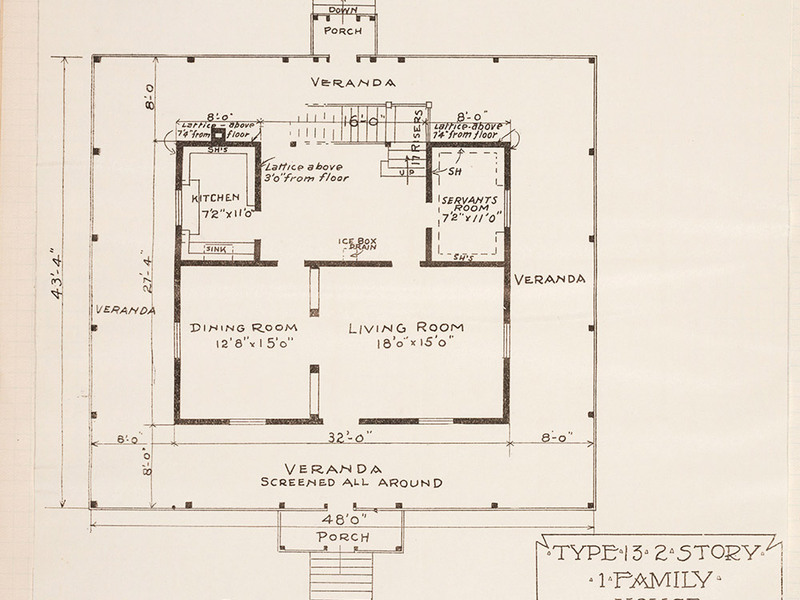 Floor plan for a building housing ten silver roll families. Workers excavate a pressure bulge that heaved up 18 feet from the base of the Culebra Cut. 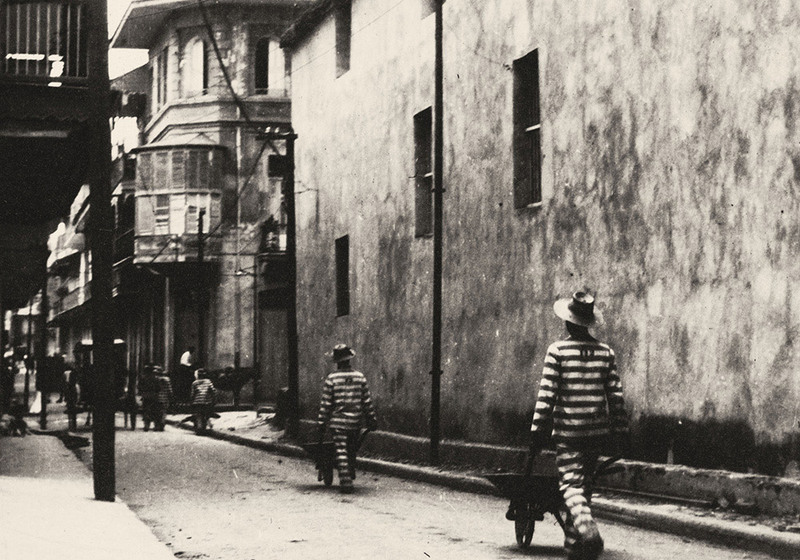 Prisoners at work in Panama City. 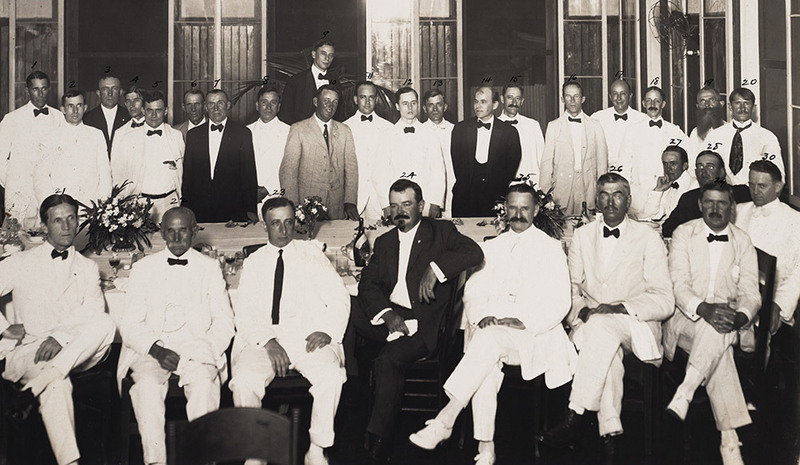 The Society of the Incas enjoys its annual banquet in 1915.